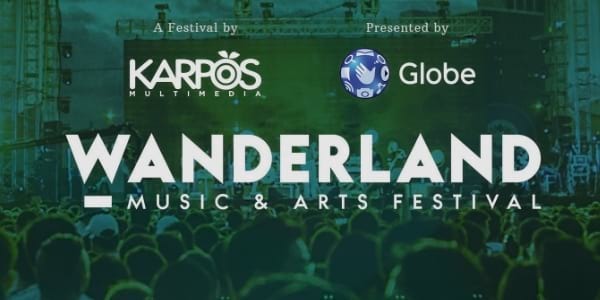 This March 9-10, 2019, all roads lead to the Filinvest City Open Grounds in Alabang, Muntinlupa City once again as Globe Telecom and Karpos Multimedia bring back the magical experience of the annual music and arts festival, Wanderland. For its seventh installment, the festival is now a 2-day affair, offering the #WanderlandCommunity two straight days to see and experience their most-awaited international and homegrown acts perform their hits. Haven’t got your tickets yet? Stay updated on the different ticket promos by visiting globe.com.ph/go/events/globewanderland or following Globe on Facebook and Twitter. Homestream image from the Wanderland website. Wanderland Arts and Music Fest is an annual outdoor music festival featuring local and international artists. Now on its seventh year, Wanderland is brewing up its first ever 2-DAY FESTIVAL on March 9 & 10, 2019 at the Filinvest City Event Grounds.